Michelle Lynch Reynolds is San Francisco-based arts professional with a background in contemporary dance. She received her BA in Dance and International Studies from Goucher College (Baltimore) and MA in Dance Theatre from the Trinity Laban Conservatoire of Music and Dance (London). Michelle was part of the inaugural fellowship of Emerging Arts Professionals in 2010, and she remains connected as part of its Advisory Board. Michelle is currently the Program Director at Dancers’ Group, where she produces free, site-specific dance performances throughout the year and supports dance-makers through administrative support, financial services, and grant-making. Michelle Lynch Reynolds is San Francisco-based arts professional and curator. 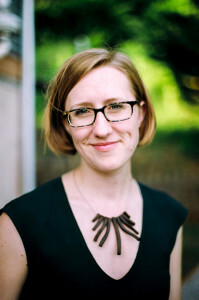 Michelle has worked as an arts fundraising consultant and grant writer, and was the curator of dance programming at Meridian Gallery from 2009-12. She was a fellow with the San Francisco Bay Area Emerging Arts Professionals from 2010-11. Michelle received her BA in Dance and International Studies from Goucher College in Baltimore and an MA in Dance Theatre: the Body in Performance from the Trinity Laban Conservatiore of Music and Dance in London. Michelle is a member of Trio, a loosely London-based experimental performance collective. Michelle is Program Director at Dancers’ Group, a service and presenting organization supporting the dance ecosystem of the San Francisco Bay Area. Michelle Lynch Reynolds is San Francisco-based arts professional and curator. Michelle has worked as an arts fundraising consultant and grant writer, and was the curator of dance programming at Meridian Gallery from 2009-12. 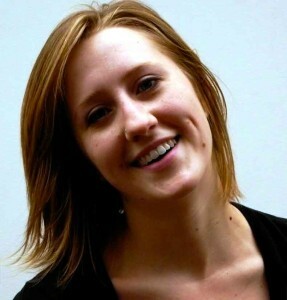 She was a fellow with the San Francisco Bay Area Emerging Arts Professionals from 2010-11. Michelle received her BA in Dance and International Studies from Goucher College in Baltimore and an MA in Dance Theatre: the Body in Performance from the Trinity Laban Conservatiore of Music and Dance in London. Michelle is a member of Trio, a loosely London-based experimental performance collective. In addition to her work as part of the Leadership Team of EAP, Michelle is Program Director at Dancers’ Group, a service and presenting organization supporting the dance ecosystem of the San Francisco Bay Area.